Liverpool Football Club's official charity, LFC Foundation, raised £50,000 during a special Gala Dinner with Jürgen Klopp earlier this week. Monies raised will go to the Foundation’s MOVE project at Alder Hey Children’s Hospital, which specifically supports patients who have cystic fibrosis. The power of football and the LFC badge are used to encourage patients to partake in plenty of physical activity, which is critical to improving the quality of life and increasing the life expectancy of children living with the condition. 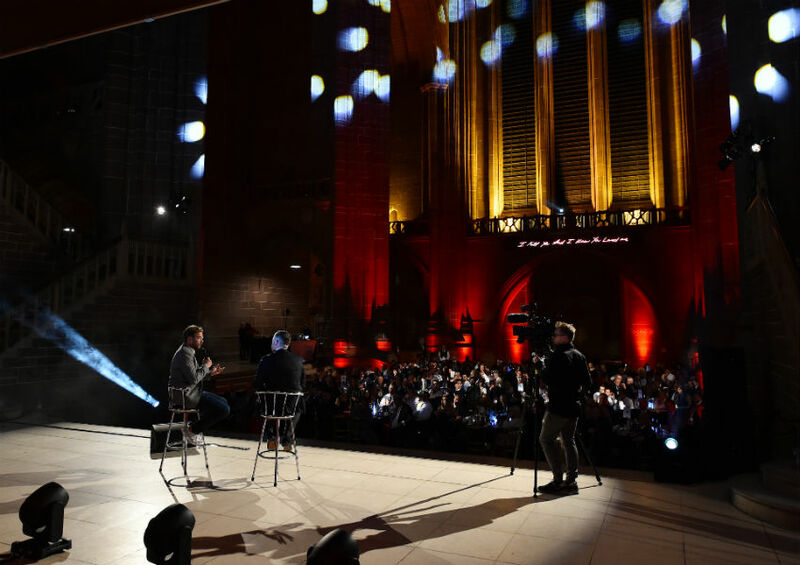 Klopp recently visited the hospital to learn about the MOVE project, meeting 13-year-old patient Carson Kehoe, and physiotherapist in cystic fibrosis, Adam Walsh, who were both guests at Monday's event at Liverpool Cathedral. Guests were welcomed into the stunning venue by Dean of Liverpool, Dr Sue Jones, and enjoyed sounds from the Liverpool Harmonic Gospel Choir, including a heart-warming rendition of You'll Never Walk Alone. A montage of Klopp's best moments with the club so far were projected onto the big screen, before the evening's compere, Peter McDowall, introduced the manager onto the stage. 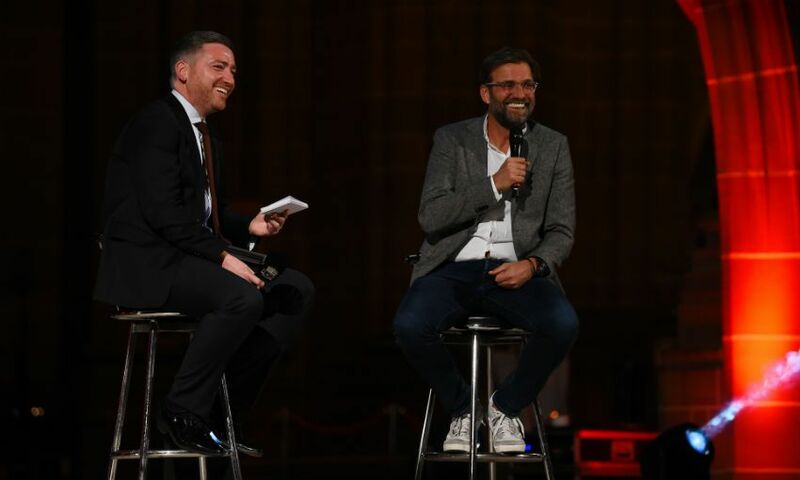 The captivated audience watched on as the pair chatted about Klopp's career and ambitions for Liverpool, and he also answered a wide range of questions from those in attendance. Interim head of LFC Foundation, Jenny Stewart, said: "This is an astounding amount to raise in just one evening. "We are overwhelmed and immensely grateful to all who attended and made contributions. The £50,000 raised will ensure that plenty more local children with cystic fibrosis can participate in the MOVE project, which is already having excellent results." Every six to eight weeks, local kids with cystic fibrosis attend regular check-ups at Alder Hey, where they are seen by a team of specialists, including a dietician, physiotherapist, respiratory consultant, nurse specialist and psychologist. They also have their lung function measured to assess their respiratory health, and those enrolled in the MOVE project conclude the check-up with a fun multi-sports session in the physiotherapy gym with an LFC Foundation coach. During the sessions, coaches also encourage young people to get involved in physical activity sessions outside of hospital and will pinpoint a variety of sports activities taking place in their local community, delivered by LFC Foundation and other community organisations. "We can already see the positive effect of the MOVE project," said Walsh. "Our patients clearly enjoy the activity sessions with the LFC Foundation coaches, which transform their hospital experience by making them much more fun, and aims to improve their long-term health by taking part in more physical activities outside of the hospital."